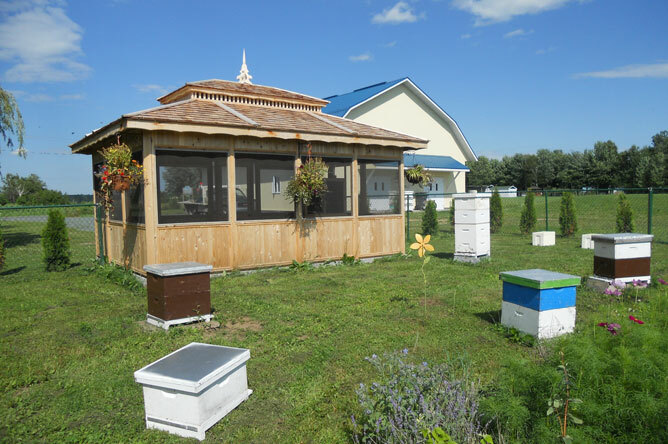 Located in the rolling landscape of Sainte-Monique, not far from Nicolet, Les produits de l'Alvéole is an agribusiness dedicated to beekeeping. 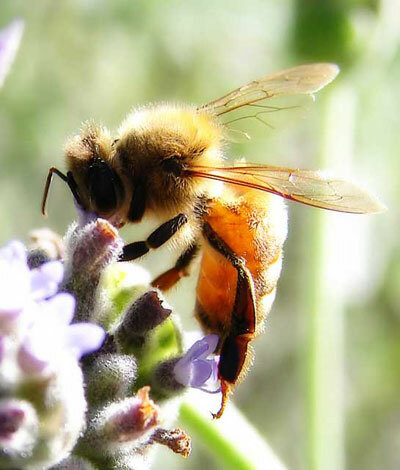 Visitors to the farm can discover the fascinating world of bees. 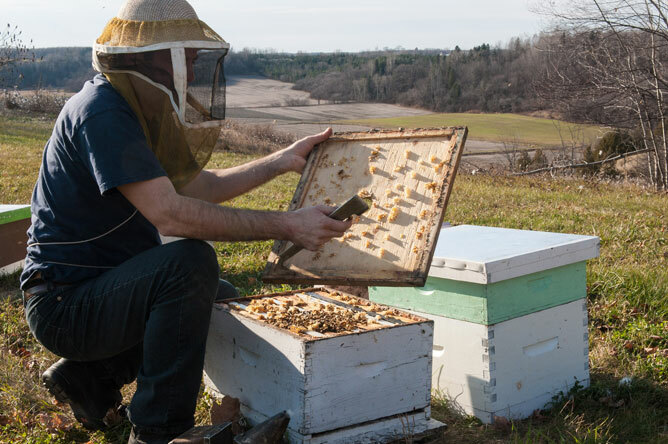 Co-owner Denis Leblanc is passionate about his interest in these hard-working pollinators, which play an essential role in nature. Denis explains the complex society of the hive, and points out how the perfectly hexagonal cells of a honeycomb contribute to the efficient use of space within the hive. Worker bees are utterly devoted to their queen; they care for her, defend her, and do not abandon her under any circumstances. When the colony grows too large for the hive, the queen bee and most of the worker bees leave the hive and form a swarm. This phenomenon occurs when the beekeeper has not had time to add a second frame or a super honey chamber to give the colony more space. The flightless younger bees remain in the old hive. Just before the swarm leaves, the older foraging bees take steps to raise a new queen to take over from the departing queen. 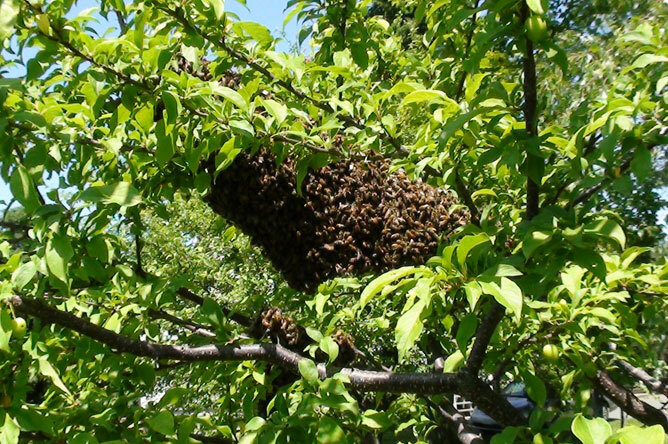 After leaving the hive, the swarm rests for several hours or even days on a tree branch or other solid structure. Swarm clustering around a queen who has left her hive. During that period, scout bees take off to search for a new nest site, such as a natural cavity. When a scout finds a suitable site, she returns to the swarm and performs a dance to promote the location. The bee that dances most vigorously will convince the other bees to follow her. To recover a swarm, the beekeeper needs to provide a place for the bees to live. He places a new hive on the ground near the swarm, then shakes the swarm to make the queen fall in. The other bees will follow the queen into the new hive. Les produits de l'Alvéole specializes in producing hives and nucleus colonies for other beekeepers. Each hive contains ten frames, where the bees can build their honeycombs and store honey. 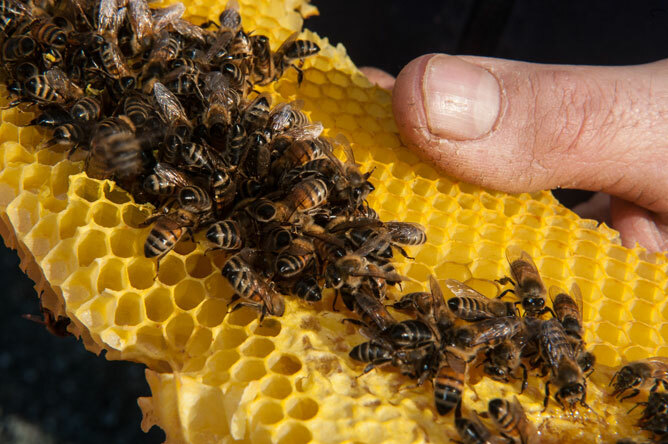 The farm shop offers a variety of honeys to taste or purchase, and also sells a range of other bee products, including pollen, royal jelly and beeswax. 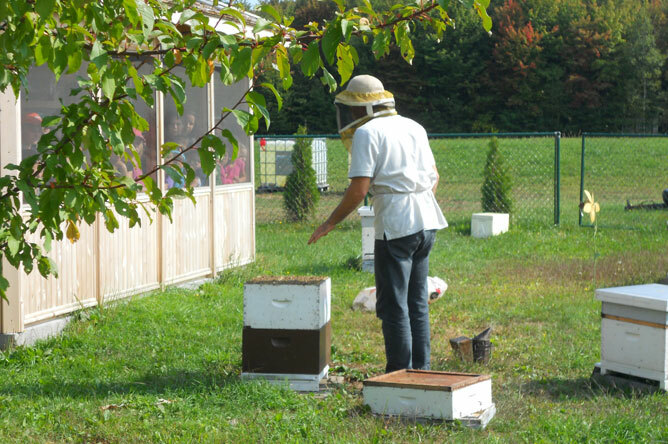 Denis Leblanc devotes considerable time to teaching people about beekeeping. He gives group demonstrations for visitors to the farm, and also offers presentations in schools. 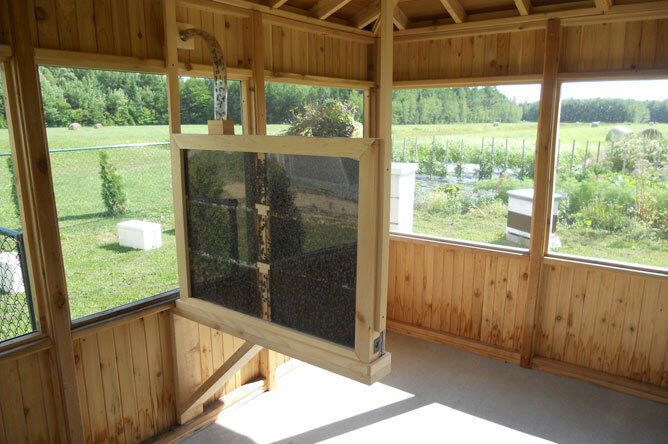 A glass-sided hive allows visitors to see the inner life of the colony without bothering the bees. Opening a hive captures everyone's attention and reveals some of the secrets of this complex insect society. Denis Leblanc discusses how bees collect pollen and nectar, their dances and communication, and the queen's egg-laying duties. He demystifies the world of bees, and defuses visitors' fear of bee stings. 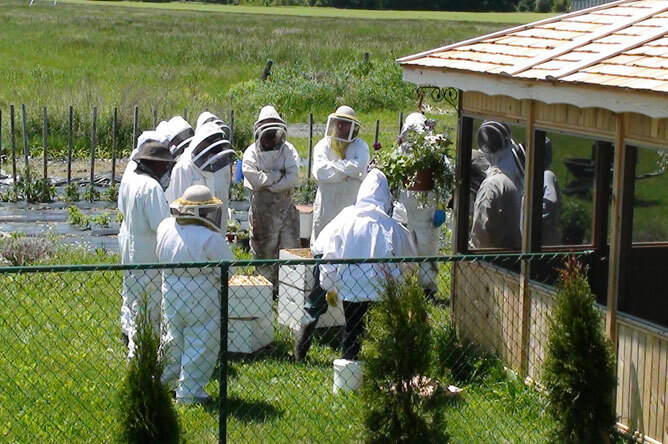 Those who want to experience the life of a beekeeper in full can put on protective clothing and approach the hives outside the gazebo. The various steps of the honey extraction process are also explained in the honey shop. 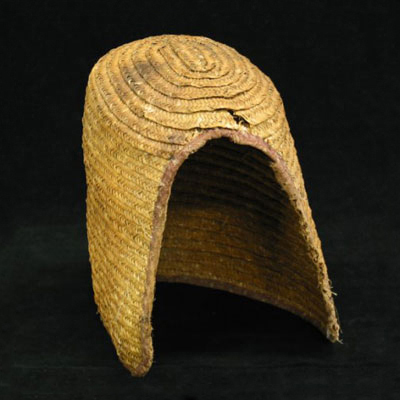 In the early 20th century, beekeepers used handmade cotton, linen and straw hats like this one to protect themselves from stings. Beekeepers use a bee smoker to produce cool smoke and blow it into the hive. The bees become stressed and begin eating honey, giving the beekeeper time to examine them and work on the hive. Some believe the smoke causes bees to gorge on honey in case they have to abandon the hive to escape a fire. 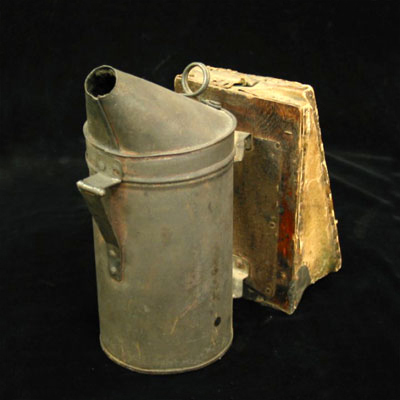 Experienced beekeepers only use a bee smoker on rare occasions. By moving calmly and deliberately around the hive, they greatly reduce the chances of being stung.